New Skills + Thrills: Get Ready For Fall! It's that time of year! The kids are heading back to school,the leaves will start changing and the air will grow crisp. For many, this means a return to crafts; perhaps you took a summer-long break, or, after three months of perfecting your skills, you're ready to expand your crafting your horizons and learn something new. Rug hooking may not be the first thing you think of when you're looking to try a new craft, but it sure is fun! 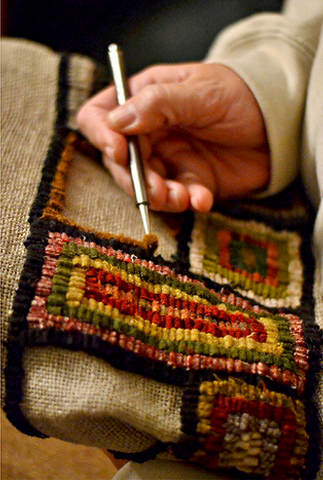 We recommend starting with primitive rug hooking, which uses wide strips of wool (generally about 1/4" wide). You only need to know how to pull a loop through the burlap backing, and mistakes are easily corrected - just pull it out and try again! Primitive rug hooking was re-popularized in the early 20th century by Pearl McGown, who feared that the craft was becoming extinct. Pearl spent many years formalizing the study of primitive rug hooking and establishing strict guidelines for crafters - you can read more about her legacy here. 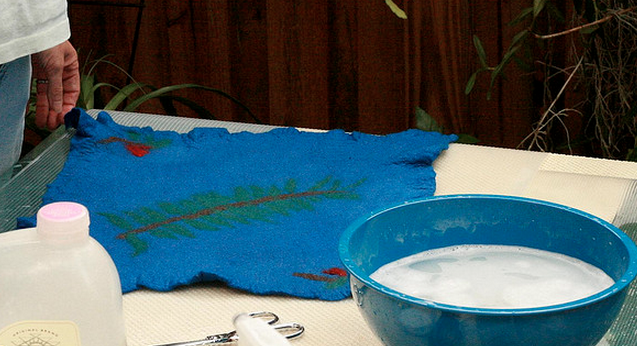 Another fun craft to try is felting! It's quick, satisfying and versatile. Wet felting techniques use hot water and soap to aid in the felting process - it's an efficient way to make larger pieces for projects such as pillows, purses, hats, and more! 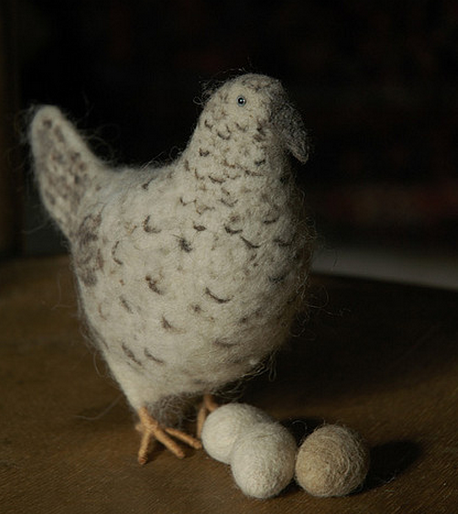 For smaller items, needle felting gives you precise control for finer detailing. Each felting needle has small bumps to add friction as you pierce the material to create the felted form. It's so satisfying to see your project take shape before your very eyes! At the Woolery, we're here to help you every step of the way, whether it's finding the perfect supplies, taking a class or workshop, or seeking help from our knowledgable staff. For those of you who can't make it into our shop, we've created a series called Ask the Woolery, where our most commonly-asked questions get answered the best way we know how: by video tutorial! We also have an ever-growing advice and help section on our website. We're thrilled to help our customers achieve their crafting aspirations!